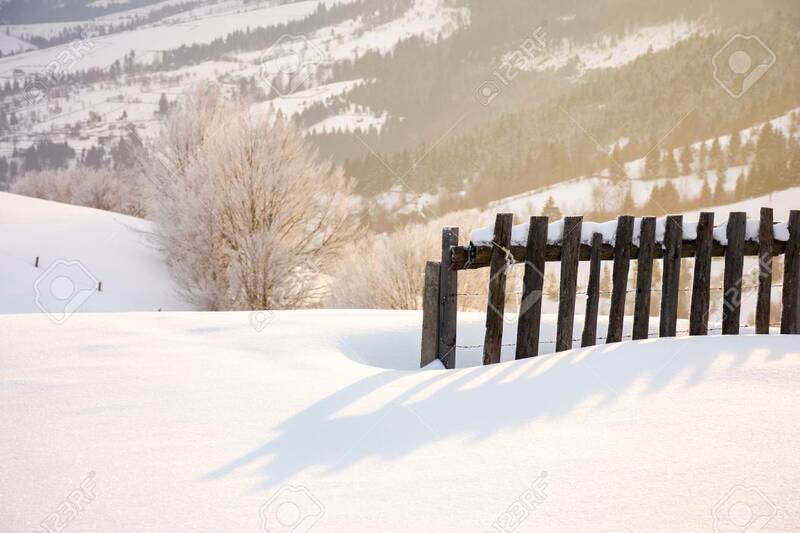 Wooden Fence In Snow And Morning Sunlight. Beautiful Winter Countryside.. Stock Photo, Picture And Royalty Free Image. Image 113582495.